One of the biggest problems people face is being committed to living out what we claim to believe. We commit to a belief. But are you committed to living that belief out in your daily life? This episode of DTLC Radio addresses the reality of committing to living out our beliefs. This podcast addresses many of the issues conveyed in an earlier article – A Perforated Life. Most of the challenges we face in life have more to do with our mindset and perspective than it does with the circumstance itself. Too often, there is a great discrepancy between what we believe and how we behave. This creates cognitive dissonance – psychological stress – that has the potential to cripple us. The decision to commit to living consistent with what we believe is the only way to eliminate that stress. Committing frequently, daily, if not at times hourly, helps us see our beliefs as reality in our behavior. It’s the failure to commit that often creates the problem. 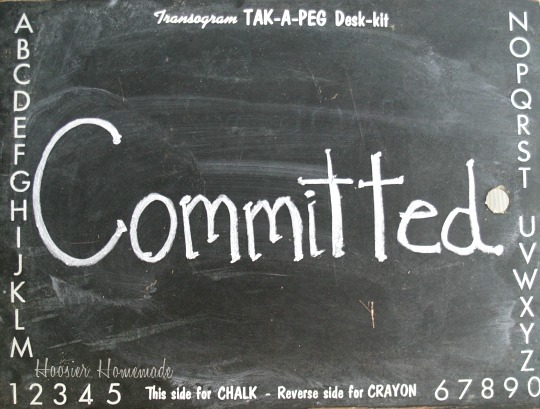 We may have committed in the past to living a godly life but the commitment has waned. If you want to be someone different – someone consistent with God’s calling on their life – then you have to commit to it. Sometimes repeatedly. No, actually, daily. People are often unaware of the power of decision. Moreover, they are often unaware of the power of indecision or no decision. As the great theologians and progressive rock band Rush have said, “If you choose not to decide you still have made a choice.” It is not enough to claim a particular belief or worldview if you’re not also actively striving to live it out. Living it out is often simply a matter of decision and choice. Being committed to the commitment to being who God has called you to be is a matter of choice. Making that choice then results in power to live it out. as Charles Stanley has said, “Obey God and leave all the consequences to Him.” Play to an audience of one.